Just a guy getting in the very last his purple coneflowers have to offer. 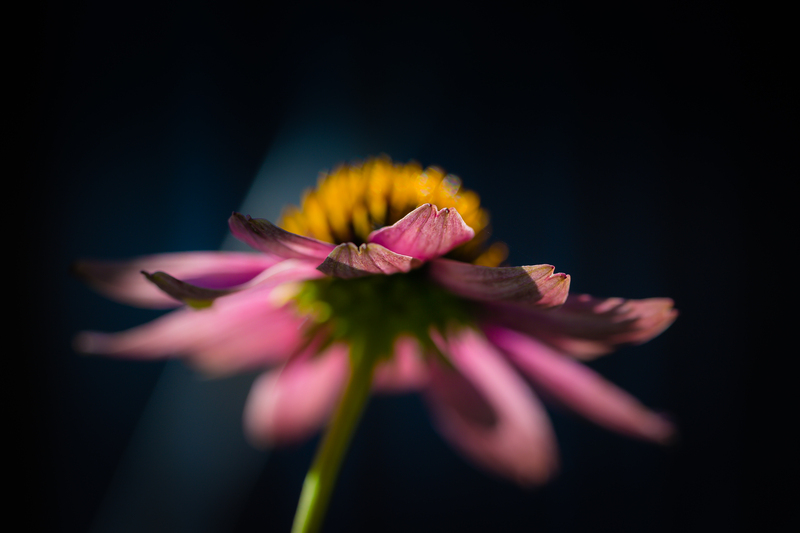 My potted echinacea are last men standing (barely), and I wanted to get in some eleventh hour shots before final decay. As afternoon light was pouring in over the rooftop I grabbed the camera and went for a slightly upward perspective shooting from a crouched position. With one good flower left I wanted to really go for a sharp cut-off with respect to depth of field, drawing attention to the ends of the front four petals. From there I’d let a low key workflow and buttery bokeh tell the rest of the story.